Boston-based makeup artist Kerri Herlihy has a very unique approach to beauty. In fact, this quote by Steve Maraboli is one of her favorites: “There is nothing more rare, nor more beautiful, than a woman being unapologetically herself; comfortable in her perfect imperfection. To me, that is the true essence of beauty.” Read on to find out which mascara she can't live without, the skincare tip you need and so much more. I grew up on the South Shore of Massachusetts in a small town called Lakeville. I was raised playing sports and was never exposed to makeup, or anything girly for that matter, until I went to college. I briefly studied Early Childhood Education before falling in love with the idea of becoming a professional makeup artist. While attending college in 1994, I started working part-time for M.A.C Cosmetics as a means for extra money. It completely changed my life. I then started focusing on becoming a full-time makeup artist. Luckily I met a fashion photographer at the perfect time and he took me under his wing and taught me how to apply makeup for camera. From there I went on to fashion shows, small films and working for local fashion magazines. I started gaining exposure from the magazines and got my first big break doing makeup for local musician Dicky Barrett of The Mighty Mighty Bosstones in Rolling Stone. For the next 12 years or so I worked very hard to make a name for myself in Boston and New York. I branched out on my own and started my own business about 4 years ago. While I still do a lot of photo, corporate and fashion work, I have a very large bridal following. I do close to 40 weddings a season and I absolutely love it. 1) M.A.C Painterly Paint Pot. It's an amazing undereye primer that holds your shadow and liner in place the entire day and night! 2) Chanel Vitalumiere Aqua Ultra-Light Skin Perfecting Sunscreen Makeup. 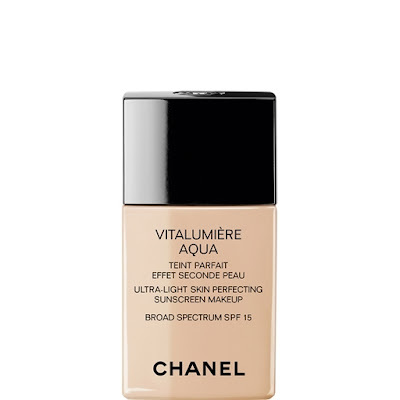 It is one of the lightest, silkiest and best coverage foundations I have ever used. 3) MAKE UP FOR EVER Aqua Eyes. 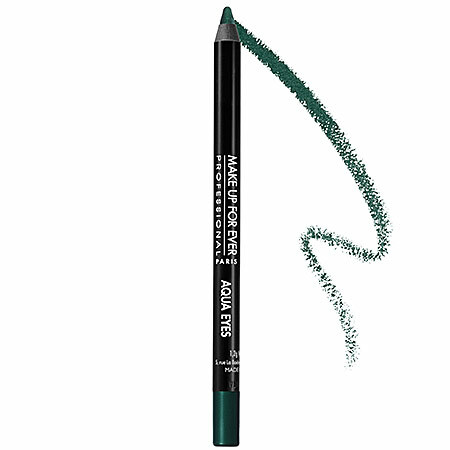 A true smudge proof liner! 4) L'Oreal Paris Voluminous Mascara. I have been using this product on my clients and myself for close to 10 years. It is super thickening, never flakes and best of all it is under $10! 5) L'Oreal Paris Age Perfect Hydra-Nutrition Glow Renewal Facial Oil. I am a huge fan of face oils. They pack a ton of moisture and give you skin an amazing glow! 1) Take care of your skin! Always exfoliate, moisturize and prep your skin with a primer! 2) Less is more! Ladies, it is okay to wear makeup that you do not see. Natural makeup takes years off of your appearance! 3) Don't be afraid to try something new! So many women get stuck in a makeup routine and are afraid to try a new color or product. Switch it up every 6 months! My job is so rewarding in many ways. There is nothing better then making someone feel beautiful. The most rewarding is simply hearing someone say that they love what I did for them. I am a huge music fan. So when I am not working I love seeing live shows. I also love getting out of the city for a few days and taking off the New Hampshire or somewhere remote with my boyfriend. Kerri Herlihy is very pretty. I also love her top 5 favorite products. I actually love M.A.C Painterly Paint Pot. This is such an amazing product that holds your shadow and liner in place the entire day and night. I really like the tips. Exfoliating so so important.